Doug Schifter waged a one-man campaign to stop Uber from putting his fellow black-car drivers out of business. Then he decided to take his own life. Above: Doug Schifter with his car. 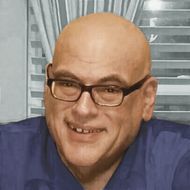 On a Monday morning in early February, Neil Weiss sat at his kitchen table in Cherry Hill, New Jersey, nursing a cup of coffee while checking messages on his iPad. Weiss — the 51-year-old owner and editor of Black Car News, a trade publication serving drivers of New York’s 84,000 “for hire” black cars — wasn’t sure what that meant. The sender was Doug Schifter, 61, who had driven taxis and black cars in New York City for over four decades. Starting in 2014, he had also written a column called “The Driver’s Seat” for Weiss. Over the course of more than 45,000 words, Schifter had gone from griping about traffic tickets and pedestrians “running amok” to thundering about the impending collapse of the industry, which would cause “massive pain and problems for hundreds of thousands of people.” He lambasted politicians for letting Uber and other app-based services flood the market with new drivers, ratcheting up competition and depressing wages. And he begged his fellow workers to band together to demand dignity and a fair day’s pay. That morning, Schifter had posted what appeared to be a fresh column on Facebook. Weiss skimmed parts of it. Maybe, he figured, the early-morning text — “Making it count” — had been Schifter’s way of telling his editor he’d made a new commitment to writing. So at 10:07 a.m., Weiss texted him back: no words, just a big thumbs-up. Soon after, the phone rang. It was a reporter from the New York Post. “Do you have a comment about what happened to Doug Schifter?” she asked Weiss. “What do you mean?” he said. Just after sunrise, the reporter told him, Schifter had pulled up to the east gate of City Hall in a black car. Then, without so much as unbuckling his seat belt, he had parked, pointed a shotgun at his face, and pulled the trigger. Weiss said he couldn’t talk. He hung up the phone and wept. Drivers talk about their work — or the lack thereof — while waiting for fares in designated holding areas at JFK. At the time of his death, Doug Schifter had driven — over 44 years and 4.5 million miles — the equivalent of more than 180 times around the Earth. He drove everything from a yellow Chevy Caprice to black Lincoln Town Cars, luxury SUVs, 80,000-pound tractor-trailers, and RVs. 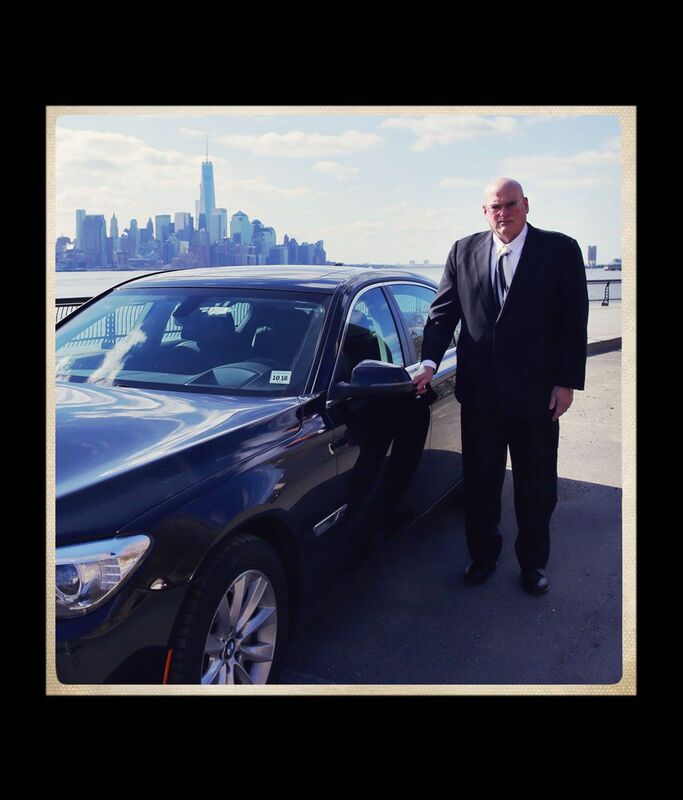 Like many drivers, he regaled his family with tales of having chauffeured the famous (Billy Crystal, Henry Winkler, Marc Anthony) and the otherwise notable (an ambassador, a CBS sportscaster, Michael Bloomberg’s daughters). That didn’t make high school easy. After flunking gym prevented him from graduating, Doug realized he could earn more money driving a cab than helping out at his father’s service station on Flatlands Avenue in Canarsie, a few blocks from where he grew up. He got a taxi license and moved out of his parents’ house. In 2004, with the money he made driving a black car, Schifter bought a split-level house nestled at the edge of a state forest in the Poconos, 110 miles west of Manhattan. He made the place his sanctuary, setting up a hammock on the back deck and building a library of 400 cookbooks. He made ice cream, baked bread, and marinated meat for barbecue, an obsession for which he’d amassed three smokers, a kamado-style ceramic grill, a commercial deli slicer, and a vacuum sealer. He loved sharing new dishes with his fellow drivers; once he drove all the way from the Poconos to Queens to deliver some halal fried chicken he’d prepared for Faiz, who had been hospitalized with an autoimmune disease. Living so far from the city was hard. Commuting to midtown took two and a half hours — on the rare occasions that there wasn’t any traffic. One winter morning in 2005, Schifter was up and preparing for work at 2 a.m. He’d been housebound, getting over a nasty cold, and he was eager to get on the dispatcher’s list for morning fares. As he left the house in the dark, he didn’t see the black ice coating the front path. He slipped, bumping down eight stairs and shattering his right hip. Schifter yelled for help, but no one came — his house was out in the woods, and his nearest neighbors were likely fast asleep. Lying alone in the cold, he dialed 911 on his cell phone. He spent the next 45 minutes waiting for an ambulance. Then things got worse. Scared of falling further behind on the bills, Schifter hurried back to work before he’d fully healed from the hip replacement. A week after he started driving again, as he stopped at a red light in Times Square, his car was rear-ended. The crash reinjured his hip. That meant another six weeks off. Schifter was forced to declare bankruptcy. Once he was back on his feet, he began working harder than ever. “He lived in his vehicle,” George recalls. Unable to spare the time to drive home to the Poconos, Schifter slept in his car most nights, parking at a rest stop near the next morning’s job. He kept two suits in rotation, making frequent visits to a dry cleaner. He showered at truck stops. Over the next decade, the parade of health problems continued. A gastric bypass to control his diabetes led to an abdominal infection; his body took five months to heal. Doctors found a cancerous tumor in his large intestine and performed surgery to remove it. A driver backed into his car in a Dunkin’ Donuts parking lot, rupturing a disc in Schifter’s neck. He couldn’t afford surgery. The pain was exacerbated by long hours in the driver’s seat. “He had to work through that,” George says. For a black-car driver like Schifter, it was not a good time to stumble into a financial crisis. Not long after its founding in 2009, a San Francisco start-up called Uber went looking for new markets to conquer with its app-based ride service — and New York’s antiquated, dysfunctional taxi system made it the perfect target for disruption. The number of taxi medallions — the de facto operating permits issued for yellow cabs — had stagnated at around 13,500, roughly unchanged since the Great Depression. That was good for drivers, who never had to look long for a fare; great for medallion owners, whose share of the yellow-cab monopoly appreciated faster than New York real estate; and not so great for riders, who often couldn’t hail a cab when they needed one, especially if they were anywhere beyond midtown or downtown Manhattan. Passengers could take a “for-hire vehicle” — including livery cabs, limos, and black cars like the one Schifter drove. But those rides had to be prearranged by phone and could be costly. After Uber arrived in New York, the price of taxi medallions plunged from $1.3 million to $120,000. Uber seized on the opportunity. In May 2011, it launched in New York with 100 cars and three promises: a living wage for drivers, a better experience for riders, and big returns for investors. The pitch worked. Over the next six years, as the company blazoned the city with an ad campaign offering drivers the ultimate gig-economy opportunity to “side hustle” their way into the middle class, the number of for-hire vehicles in New York swelled from 39,708 to 102,536. Uber’s rapid expansion was good for passengers, who could suddenly summon a ride from anywhere in the city. But it was disastrous for almost everyone else. With more cars on the streets, traffic in the city got even slower and more congested. Investors poured more than $21 billion into the company, which has yet to turn a profit. (Uber posted $4.5 billion in losses last year alone, subsidizing rides in an all-out effort to establish a monopoly.) And according to one estimate, the company’s drivers — after paying for gas, maintenance, and Uber’s commission of 25 percent on every fare — took home barely $10 an hour on average. Last year, Uber agreed to shell out more than $80 million for underpaying drivers in New York — a systematic practice it blamed on an accounting error — and in January it agreed to pay $3 million to settle a class-action suit by New York drivers who accused it of levying excessive fees on their fares. Veteran drivers like Schifter were hit especially hard. In the course of only a few years, Uber gutted the black-car and livery businesses, both of which had been reliable sources of income for working-class New Yorkers for generations. Cabbies also suffered: From June 2014 to June 2015, according to one analysis of city data, the number of Uber pickups in Manhattan soared by 1.4 million, while the number of taxi pickups plunged by 1.1 million. At the same time, the price of taxi medallions — which peaked at a record $1.3 million in 2014, when Uber was still ramping up — took a steep dive. In January, one sold for $120,000. Is Uber Evil, or Just Doomed? Black cars, by their very nature, are even more vulnerable to competition from Uber, which offers customers less hassle and a lower price for a similar service. In 2015, Schifter spent an entire Wednesday evening on call, and for the first time in his four decades of driving, not a single job came through. There were times when he averaged less than $4 an hour — and that was before expenses. In April 2017, on the third anniversary of his column, Schifter told readers that he had been spending up to 120 hours each week on call in the city. But despite working every single day, for more than 17 hours a day, he got only 20 jobs. “My income is down 50 percent in the past two years!” he lamented. And unlike other drivers, he wasn’t willing to go to work for the enemy by moonlighting for Uber or Lyft to supplement his dwindling income. For Schifter, his column was more than a place to express his frustration and anger. It was a spiritual quest — the closest he came to a higher calling. One day, on a long drive to Connecticut, one of his clients suggested a book he had never heard of: Many Lives, Many Masters, a best seller with more than a million copies in print. He ordered it overnight express and devoured it the next day. Although Schifter had always referred to himself as a “natural skeptic,” that hadn’t kept him from puttering around the existential void, seeking a semblance of order and purpose in what had become a very hard life. The book’s author, a psychiatrist named Dr. Brian Weiss, claimed that he, too, had once been a hard-nosed skeptic. But after he treated a patient who described having 86 past lives, Weiss wrote, she connected him with spiritual beings called “the masters,” whose wisdom transformed his life. The whole thing sounded implausible, but Weiss held degrees from Columbia University and Yale Medical School. He had been featured in the New York Times and interviewed by Oprah Winfrey on national television. Schifter urged George and Faiz to read the book, hoping they would be moved by its message. The book’s teachings were essentially a Whitman’s sampler of the world’s religions, advising readers that acts of charity, hope, and love could advance the immortal spirit. The highest purpose of humanity, Weiss added, was learning: gaining knowledge and passing it along to others. Schifter was referring to the Great Depression, when unemployed men flooded the taxi industry, creating more supply than the market could bear. Thousands of cabbies chased a shrinking pool of riders. Fares plunged. Desperate drivers tried working 20-hour days and still couldn’t make enough to get by. In 1934, a peaceful strike devolved into a riot when a mob of angry drivers began beating scabs and setting vehicles on fire all over the city. After a few false starts at regulation, the city eventually capped the number of cabs, creating the modern-day taxi-medallion system. The post was public. It received no response. In conversations with Faiz, Schifter blamed politicians for flooding the streets with cabs. But last summer, he also hit on a new idea to rouse the public to action: He wanted to end his life. And he would turn his death into an unavoidable call to arms. The same book that had given Schifter a sense of purpose now gave him comfort. Death, he believed, is an illusion. “Reincarnation is reality,” he wrote on Facebook. “Many Lives, Many Masters by Dr. Brian Weiss was my breakthrough discovery that established it.” When he told Faiz about his plan, his friend was devastated. “Don’t even think about it,” Faiz told him. Appealing to Schifter’s spiritual side, he pointed out that most religions forbid suicide. But he didn’t. In January, George tried to confiscate the shotgun that Schifter kept hidden in his bathroom cupboard. George waited until his brother was asleep, then stashed the gun in his truck for safekeeping. Schifter woke up a few hours later, and somehow he knew. “Give it back to me!” Schifter thundered. George, who saw his brother as a gentle giant, was surprised. Schifter welled up in tears and apologized. But he insisted on taking back the gun. When George returned to his home in Orlando, he told their older brother, Paul, what had happened. Paul called the police to report that Schifter was in imminent danger of taking his life. But when officers paid a house call, Schifter told them everything was fine. In early February, George and Matt, the family’s youngest brother, drove back to the Poconos. On the way, they kept in frequent touch with Schifter from the road, checking in with him on his landline, since his cell phone had been disconnected. When they arrived that Sunday, shortly after noon, Schifter was already gone, but he’d left the lights and heater on for them. The next morning, a shotgun blast erupted from a rental car at the east gate of City Hall. A frenzy ensued. Was it terrorism? Police responded, taping off the scene. Traffic was halted on the Manhattan-bound side of the Brooklyn Bridge. The bomb squad came to check for explosives. All they found in the car was Schifter, lifeless in a crisp white shirt and dress pants. Next to him, inside a Ziploc bag, was a photograph of a clean-shaven kid standing in front of the American flag. It was a photo of George, from his days in basic training in the Air Force; on his recent visit, he had urged Doug to keep it with him, so he wouldn’t feel alone. Schifter wasn’t even the first driver to kill himself. Two months earlier, in separate incidents, two livery drivers — Alfredo Pérez and Danilo Corporán Castillo — had committed suicide. Castillo, 57, had jumped from the roof of his Harlem apartment building after learning that he might lose his license for picking up unauthorized street hails. In his pocket, a suicide note was scrawled on the back of a summons from the Taxi & Limousine Commission. When Schifter’s death made the cover of Black Car News, letters poured in from supportive readers. One called on de Blasio to name the east gate of City Hall “Doug Schifter Way.” Another compared Schifter to Thích Quang Duc, the Buddhist monk who set himself ablaze on a Saigon street in 1963, and to Mohamed Bouazizi, the Tunisian street vendor whose self-immolation in 2010 helped spark the Arab Spring. A third likened him to Nelson Mandela and Martin Luther King Jr. 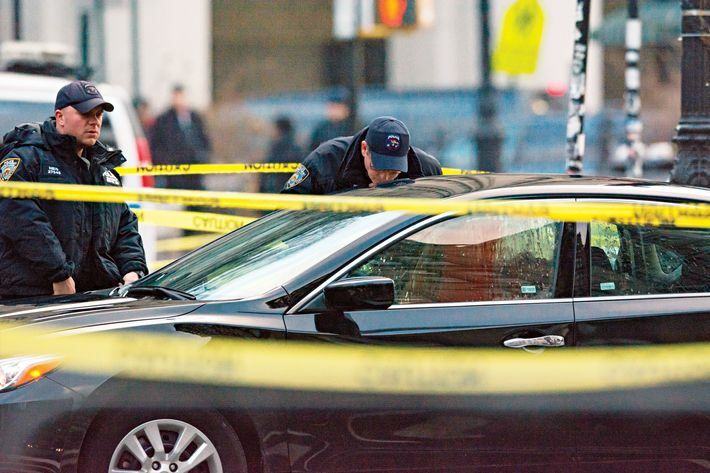 Someone suggested the date of Schifter’s suicide — February 5 — may not have been a coincidence; it was the anniversary of New York’s 1934 taxi riots, which gave birth to the industry that served the city and its drivers for so many decades. Then, on March 16, there was another suicide. Gabriel Ochisor found his father, Nicanor, hanging from a metal cable in the garage of their home in Maspeth, Queens. The 64-year-old Romanian immigrant had been a yellow-cab driver for more than 25 years. He’d watched the value of his medallion drop by more than a million dollars, his retirement evaporating before his eyes. One cabbie, addressing the protesters, observed that the turnout would have been bigger if drivers could afford to show up. “They need to be out working!” he barked. “They don’t have the luxury to come out here and protest.” Then, after an hour of chanting and speeches, everyone put down their signs and headed back to work. *This article appears in the May 14, 2018, issue of New York Magazine. Subscribe Now!